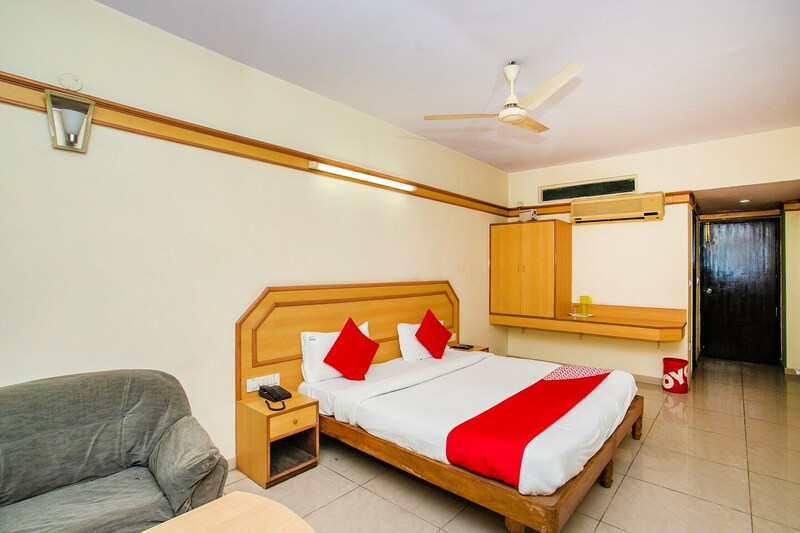 Hotel Ajantha Trinity Inn is a good stay option for every traveller. The rooms have ample space and is well-furnished. It has wooden chairs and floating desk along with side tables. The curtains add vibrancy to the room and make it livelier. The room also has a cushioned sofa to make the guests feel comfortable. Free Wifi access is available to the guests who wish to catch up on work or connect with friends. Other facilities at the hotel include parking space, power backup, an elevator and card payment option.